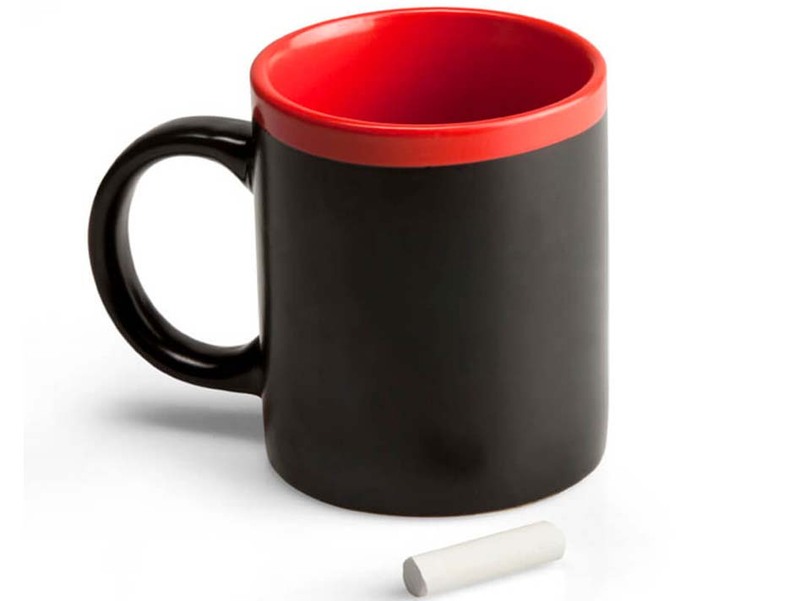 For a personal cup of coffee! Do you get literary or visual inspiration during your morning cup of sunshine? 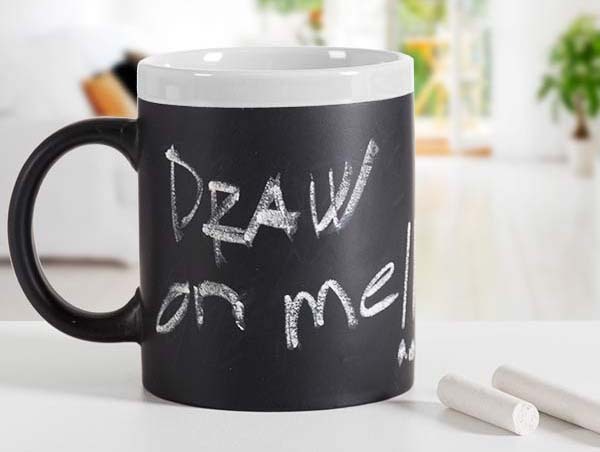 Write it down on your Chalk Mug! Need to make something up to someone? Want to cheer someone up? Do you want to pass on a message? Or have you been struck with literary or graphic inspiration? Are post-its clogging up your fridge? 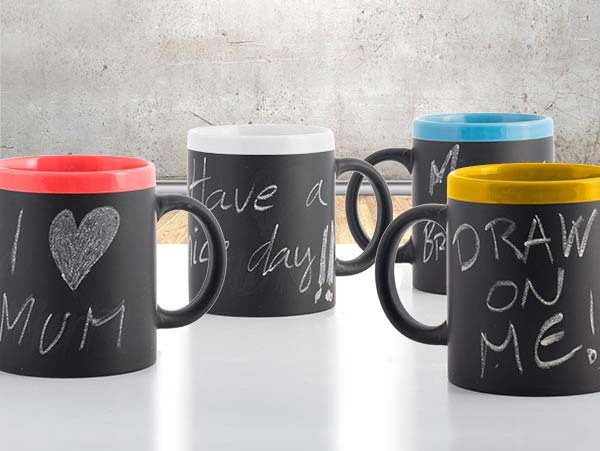 Write and draw fun messages and pictures on this handy chalk mug. 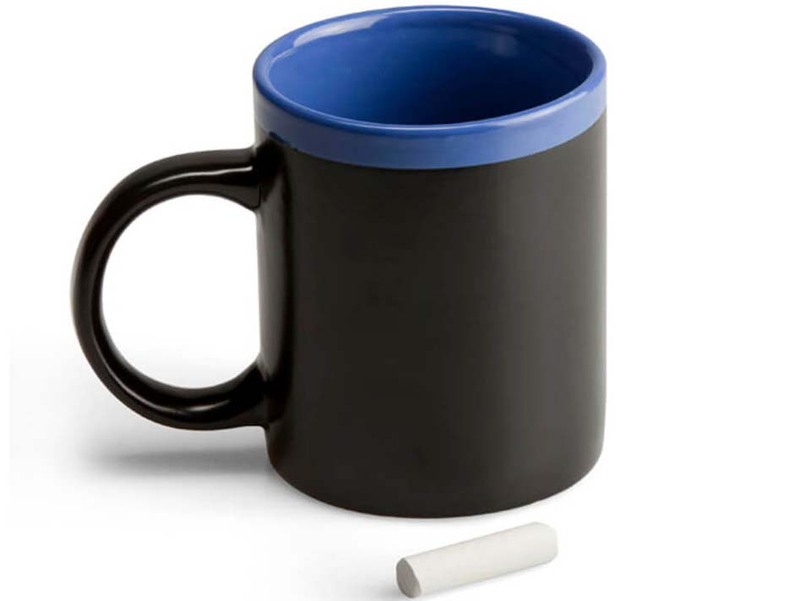 This chalk mug is more than just a useful addition to your morning ritual:; it also just looks great. Pick one of four retro colours: white, blue, red and yellow. 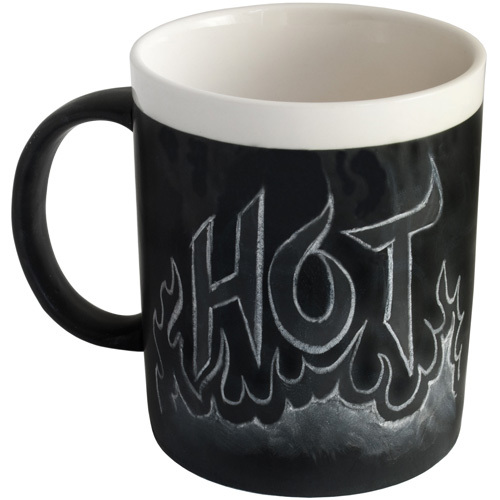 The outside of the mug has been decorated with dishwasher-proof blackboard paint. 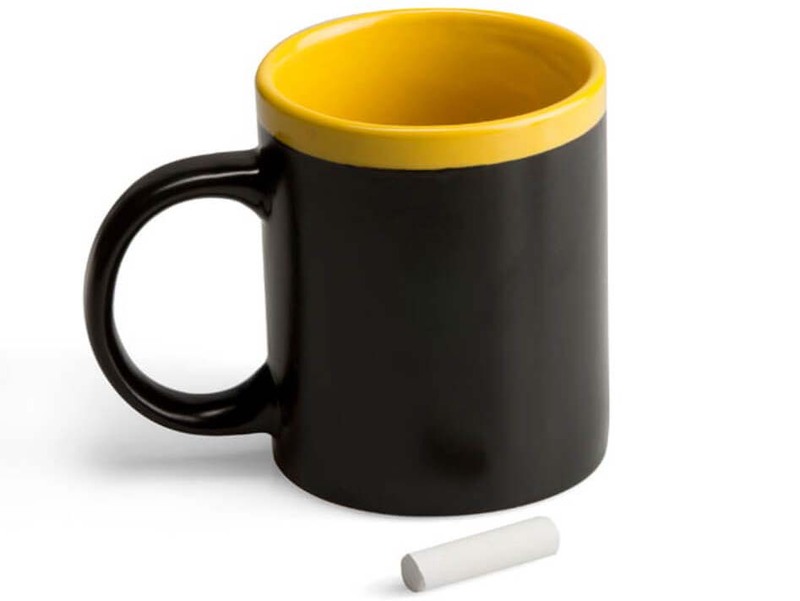 We've also included two pieces of chalk because we know you can't wait to get started.